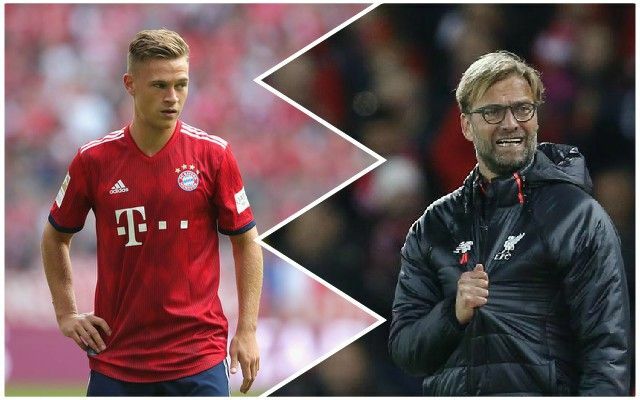 Bayern Munich’s Joshua Kimmich says his teammates are very aware of how good Liverpool are – proving just how far the club has come since Jurgen Klopp took over in 2015. The 23-year-old Germany international will line up against the Reds in around a month’s time in the Champions League last-16, and even though the tie is a long way away, Kimmich has already been speaking about it. It seems Bayern are on the full charm offensive, with defender Mats Hummels tweeting just last week about Virgil van Dijk, but it’s clear that the German side are fearful of what the Reds can do to them. The tie against Bayern will be a brilliant couple of matches and there should be a lot of excitement for neutrals – it just shows the levels that Klopp has taken the Reds to since he took charge. Comments like this from Kimmich would not have been heard had this tie been taking place a couple of years ago – in fact, the tie would not have been taking place at all. The Reds have every chance of progressing and knocking out one of the real elite teams in the Champions League over two matches. Klopp has done an incredible job. That’s also backed up by the number of players at Liverpool who are signing new contracts, like Andy Robertson and Trent Alexander-Arnold just this week – everything is looking very rosy.